Yay!! Spring is finally here.. I think.. I can’t believe how quickly this year seems to be moving, it’ll soon be summer but it still feels like Christmas was only yesterday. I thought I’d do a little update on my winter natural hair routine starting with my go to protective style. Some people might be wondering, why bother with keeping your hair cooped up? 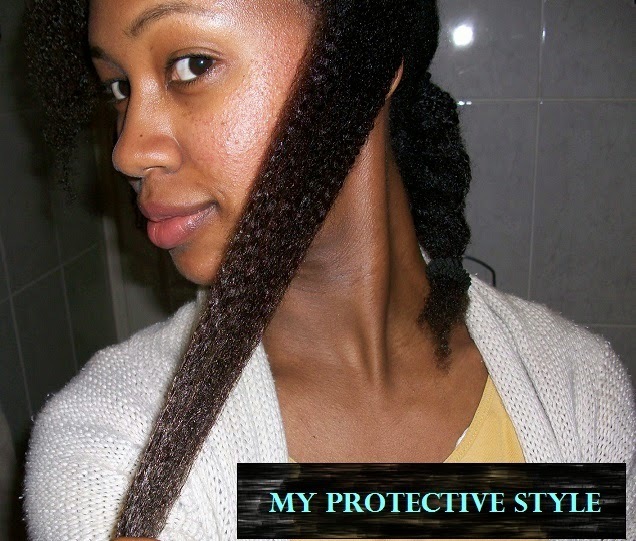 Well personally, I like the idea of protective styling to retain my length. I slowly figured that having my hair out all the time, even though it was fun, always left me with more tangles and knots hence lots of breakage. The winter weather seemed to be doing a number on my locks to so it seemed like the best time to give my hair a break. My protective style had to meet three golden rules. I’m not too fussed about styling, so for me chunky two strand twists sufficed for a natural hair protective style. Twists have been my go to style, purely for manageability and of course to protect my natural hair. I really struggle to commit too much time doing my hair so these twists work because they’re so simple to do and work for an everyday look. So here it is! My natural hair has been in a protective style pretty much from September. My detangling and washing hair routine has changed a little along the way, I’ll share this when I do an update on my current natural hair routine. I have around 16 chunky twists that I wash my hair in and re-twist in the shower. I now wash my hair every other week and moisturising my hair currently with jojoba oil. My natural hair ‘wash day’ involves Shampooing, conditioning, finger detangling, protein treatment and re-twisting, it all takes about 3hours but that’s time I don’t mind giving up every 2 weeks. That’s it really, I dont have to worry about twisting my hair up at night. If my hair feels dry between washes I’ll re-twist and re-moisturize with an oil and water, I tend to finger detangle then as well. For added length I can stretch my twists by wrapping my hair at night and sleep with a satin scarf over my head. Cotton scarfs will dry out your natural hair. I tend to finger part and finger detangle my hair to reduce breakage and not to disturb my curl pattern too much. I have to admit I’ve developed a hate for combs after the results I’ve been getting with finger detangling I can say that I haven’t used a comb for over 6 months. However combs do come in handy if you’re doing a more polished style, like a heat-less curls or a flexi rod set. For me, those are few and far between so I don’t have to worry about using a comb to often. 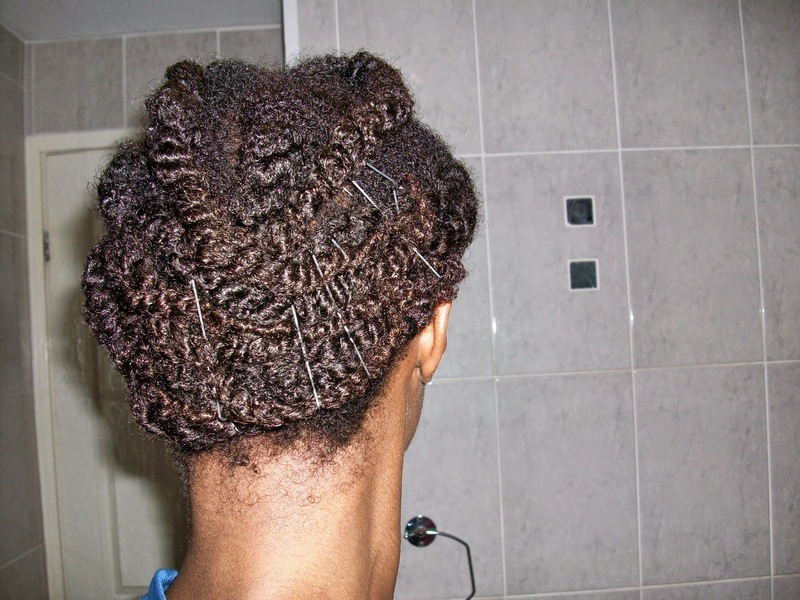 There are tonnes of other ptocetive styles; from buns, to braids, flat twists, cornrows the list goes on. 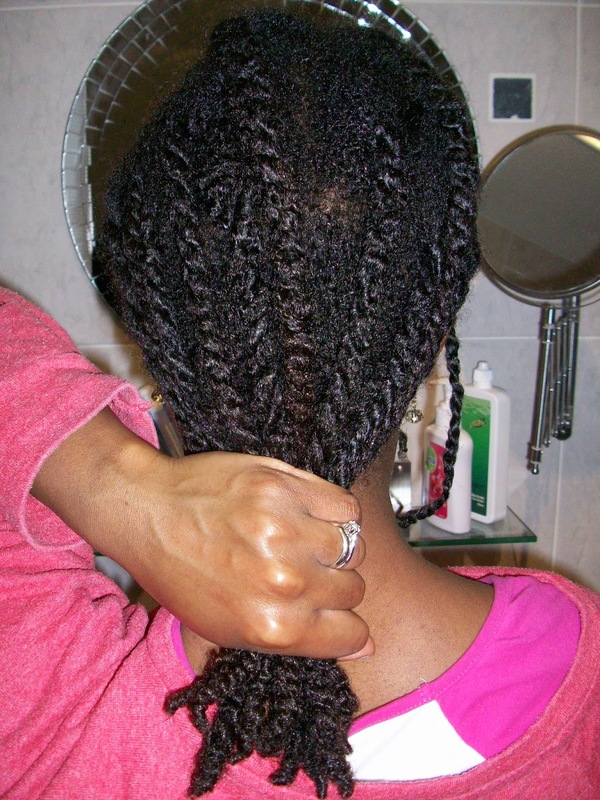 It’s really down to what you’d like to get from the protective style. For me, my three golden rules have to apply when I’m choosing a protective style, it has to involve low manipulation of my hair, keep it from getting too tangled and it has to protect my ends . #TIP Remember not to leave your protective style in for too long, your hair needs to be kept moisturized to avoid breakage. Previous Post Natural Hair: Wedding Series Coming soon! !